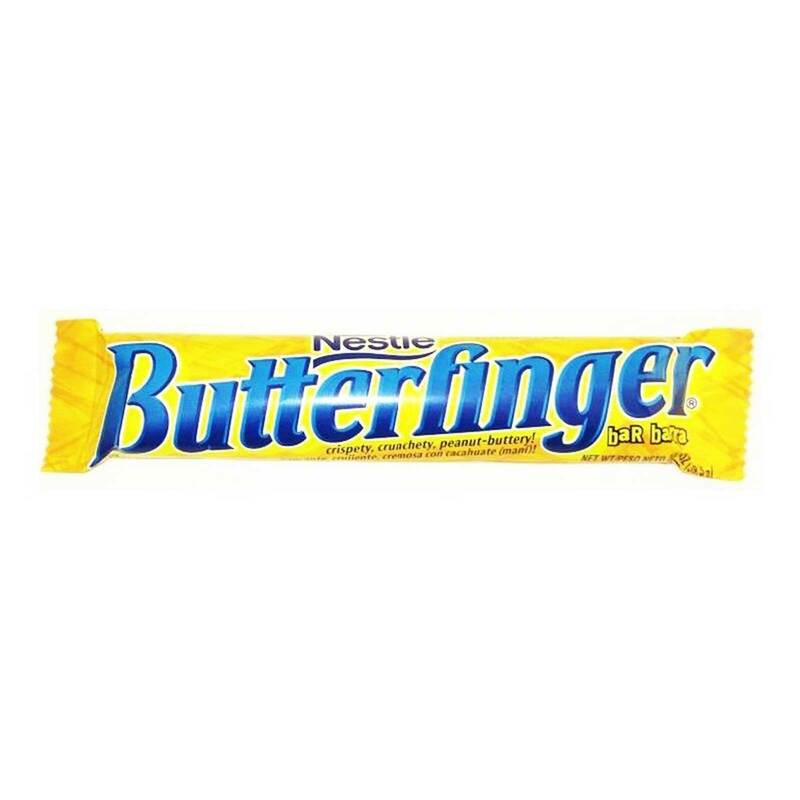 Nestle’s Butterfinger candy bar is a unique combination of crispety, crunchety, peanut-buttery taste and texture. Freshly roasted peanuts are chopped, and made into a creamy peanut butter that is blended with a sugar candy. Each order includes 36 full-size candy bars. Each bar is 1.9 oz. 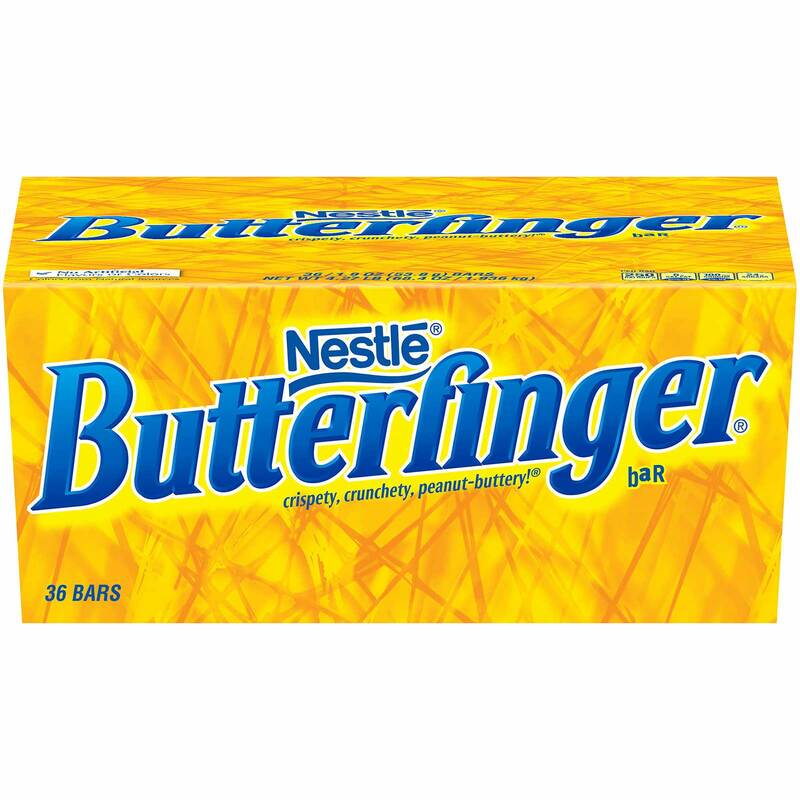 Order NESTLE BUTTERFINGER in bulk at wholesale price at Volt Candy Online.